I might be a little late to the game, but I broke out the pumpkin this past weekend. Twice. And it was really good. I received this cookbook a few weeks back. It's one that I've been anxiously waiting for all summer long. It also came at the perfect time, as I was home with sick children for three whole days. You can catch up on a lot of reading in that amount of time. I tried my hardest to savor the new book, but finished reading it from cover to cover in two days. 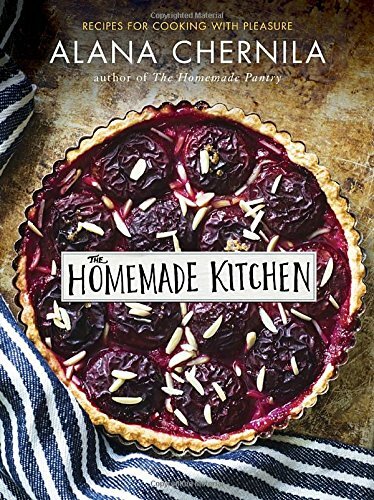 I fell in love with Alana's first book, The Homemade Pantry so I wasn't really surprised that The Homemade Kitchen did not disappoint one bit. Broken down into chapters or rather principles to live by, Alana Chernila teaches her readers how to cook and more importantly use the ingredients you have near. I love one of her phrases in the book; "Do your best and then let go." It's so simple, yet something I think we all struggle with. As moms we aim to feed our families the best we can, yet there's always so much controversy surrounding food. You'll find techniques perfect for the beginning cook such as: how to cook an egg or any type of vegetable, ways to use up those kitchen scraps, recipes for delivering meals to friends in need, entertaining ideas and new dishes to try with your own children in the kitchen. Oh and so many beautiful photos! 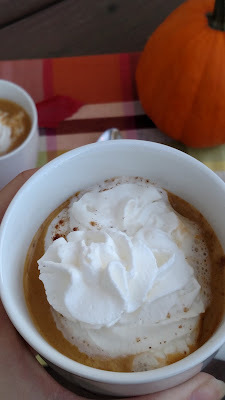 There are plenty of recipes that captured my attention, but I knew I had to give this hot chocolate recipe a try first. I'm not a coffee drinker, so I've never gotten into those overpriced caffeinated beverages. But considering how decadent this drink is, I can see how easy it is to become hooked. 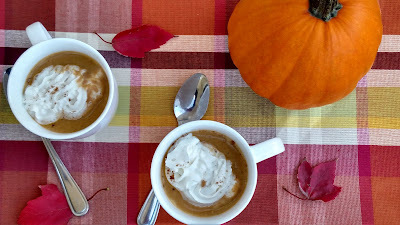 It was like enjoying a slice of pumpkin pie but in liquid form. This time of year, you just can't get any better than that my friends! Now, I did make just a couple minor changes to the original recipe, mainly using white chocolate in place of bittersweet. You can see which you like best. I'm sure it wont be long before I'm experimenting with the latter. Oh, and this book. It will have a nice little spot in my kitchen, always within arms reach. Bring milk to a low boil in a saucepan on stove. Place chocolate in a blender, pour 3/4 of milk over chocolate. Let sit for a couple minutes and then blend together. Add in pumpkin and spice, blend together well. Disclaimer: I was provided a copy of this cookbook courtesy of Blogging for Books. However, all opinions are my own.